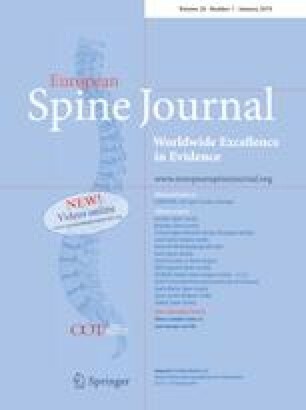 This retrospective study investigates sagittal alignment after pedicle subtraction osteotomy (PSO). The purpose was to investigate factors associated with malalignment recurrence. Full spine radiographs were analyzed in 66 patients (average age 54.5 years, follow-up 3.8 years). Measurements were taken preoperatively, 3 months postoperatively, at follow-up: SVA C2 and C7, C2–C7 lordosis, T4–T12 kyphosis, L1–S1 lordosis, PSO lordosis, pelvic incidence, pelvic tilt, sacral slope. Follow-up CTs were screened for pseudarthrosis and gas in sacroiliac joints. PSO lordosis increased from 11.8° to 40.8° (p < 0.0001) and kept stable. Lumbar lordosis increased from 28.6° to 57.7° (p < 0.0001) and decreased to 49.7° (p = 0.0008). Pelvic tilt decreased from 29.2° to 16.5° (p < 0.0001) and increased to 22.5° (p < 0.0001). SVA C7 decreased from 105.1 to 35.5 mm (p < 0.0001) and increased to 64.8 mm (p = 0.0005). Twenty-eight patients (42%) had an SVA C7 increase of more than 70 mm in the postoperative course: recurrence group. These patients were older: 62.8 years versus 52.3 years (p = 0.0031). Loss of lordosis was 11.9° (recurrence group) versus 5.0° (non-recurrence group). Eleven patients (17%) had pseudarthrosis. Pelvic incidence increased by 9.3° (recurrence group) versus 3.8° (non-recurrence group). In 23 patients (35%), pelvic incidence increased > 10°. Gas was evidenced in sacroiliac joints in 22 patients (33%). Postoperative anterior malalignment recurrence may occur after PSO. Elderly patients were at risk of recurrence. Loss of lumbar lordosis linked to pseudarthrosis represented another factor. With malalignment recurrence, anterior trunk rotation and pelvic retroversion might additionally have augmented moments across sacroiliac joints with subsequent ligament laxity and pelvic incidence increase. The online version of this article ( https://doi.org/10.1007/s00586-018-5767-x) contains supplementary material, which is available to authorized users. None of the authors has any conflict of interest related to this study.